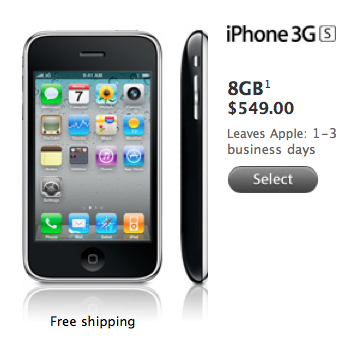 If you’re looking for an unlocked iPhone 3GS from Apple Canada, the 8GB model now ships in 1-3 business days 24 hours. Apple made the change early this morning and it falls in line with improved shipping times for the iPhone 4, announced earlier this week. Apple has improved ship times for iPhones and iPads, to prepare for the upcoming holiday season.